By buying this product you can collect up to 89 loyalty points. Your cart will total 89 loyalty points that can be converted into a voucher of $17.80. 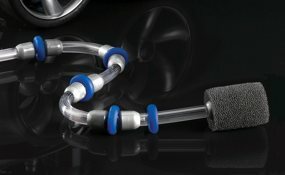 The Polaris 3900 Sport pressure side pool cleaner (view larger). The Polaris 3900 Sport combines the dynamic appeal of a completely re-engineered body design with the most sophisticated features, producing maximum vacuum power and drive torque for quicker cleaning and fewer hang-ups. It features an all-wheel PosiDrive system with durable stainless steel drive chain that delivers 50 percent more torque for maximum speed and performance. Equipped with a dual-chamber zippered SuperBag, the Polaris 3900 picks up and stores more debris, making cleaning easy and less frequent. It also features innovative auto-reverse technology, which enables it to free itself if it gets stuck. 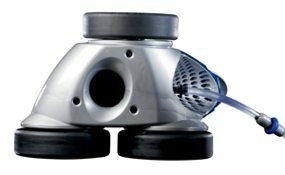 The 3900 Sport pressure cleaner works in all in-ground pools, and requires a booster pump. It supplements the pool's filtration system by circulating an additional 40 gallons of water per minute through its filter bag. 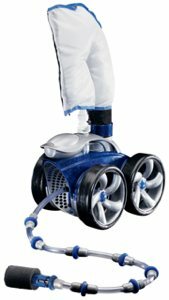 The 3900 Sport now includes TailSweep PRO, an advanced sweep hose enhancement that blows debris out of corners and hard to reach places, while also keeping water from spraying outside the pool. No more wet windows or walkways. 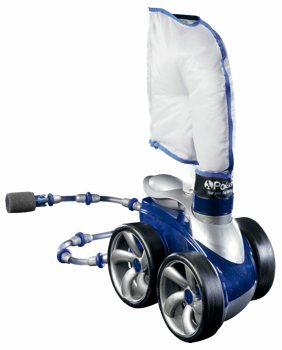 Powered by a booster pump (sold separately, such as the PB4-60), the 3900 Sport has the most vacuum power of any cleaner. It picks up even the largest debris, while filtering and ciruclating water for a cleaner, clearer pool in less time. Combine the 3900 Sport with the PB4-60 booster pump for maximum performance. Bottom view of 3900 Sport (view larger). TailSweep Pro for ultimate sweeping action (view larger). Works in all in-ground pools. Requires Polaris booster pump. Ready to connect to 1.5-inch dedicated pressure cleaner line. Includes 31-feet of feed hose which is black in color. Most vacuum power of any 3-jet Polaris cleaner, with 40 GPM of additional pool filtration through the filter bag. 50% more torque with all-wheel PosiDrive system and stainless steel chain. Now includes popular TailSweep Pro, providing ultimate sweeping action, while eliminating water from spraying outside the pool.